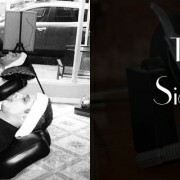 Razor Shave with 2 Hot Towels, Mini-Facial with a peel off mask and an ultimate facial massage. Barber’s Blueprint is an affordable, yet luxe – Men’s barber in Soho, NYC. 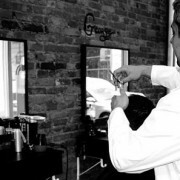 The team of barbers, led by Arthur, are experts in their field with years of experience. With exposed bricks, black and white crystal chandeliers, high ceiling the space is part upscale salon, part homey neighborhood barbershop. 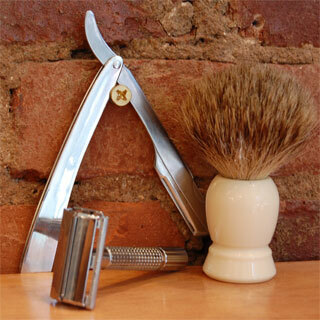 Men can stop in for a quick cut or relax and enjoy with a 45-minute old-fashion Blueprint signature shave, which uses straight razors and hot towels and a facial massage to give the closest shave imaginable. 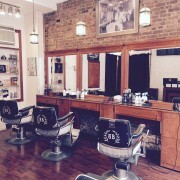 NYC Barber, Barber’s Blueprint is located at the crossroads of Little Italy, Soho and Nolita. It is convenient to Tribeca and the Lower East Side. By Subway, Barber’s Blueprint is within close walking distance of the 6 train (Sprint Street), the N&R (Prince Street) and the B, D and F trains (Broadway Layafette).